It is always nice to receive things in the mail and recently a case of POM Wonderful arrived at my doorsteps. I have heard so much about this drink but have never tried it. POM Wonderful is a 100% pomegranate juice and is packaged in a unique double-bulb plastic bottle. While it is touted for its health benefits, I was more interested in its taste. I was anxious to give it a try. The juice has a wonderful mix of sweetness and a tangy taste that immediately reminded me of a popular fruit juice drink I had as a child. That clinched it! Each bottle carries 8 oz of pure pomegranate juice. This amount is just perfect for mixing up cocktails. I have always wanted to whip up a sling and just so happens that I do have some vodka handy. 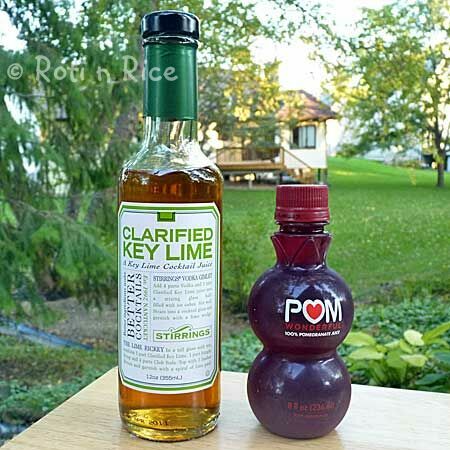 Together with the clarified key lime cocktail juice, I was all set to mix up this fun and refreshing Pomegranate Lime Sling. 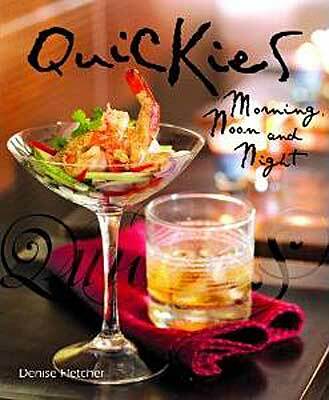 I am sending this to Denise for the Quickies Cocktail Challenge. Finally, here is a vignette from my garden I promised my friend, Denise. Disclaimer: Although these products were sent to me for free, I did not receive any monetary compensation for this write up. What was written are my personal thoughts and view. For full disclaimer, please click here. Wow!! That is one beautiful cocktail! 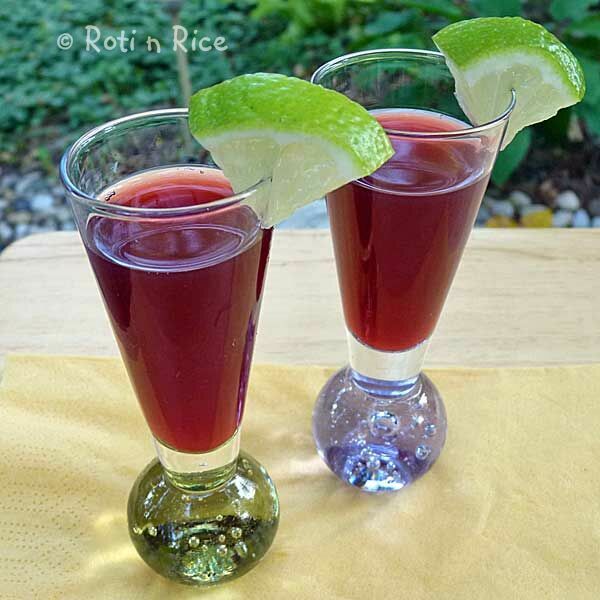 I love the contrast of the lime wedges against the deep red of the drink. The glasses are so unique too. Very stark, very striking! Love the drink in those glasses.. Yes, that is a real frog! Isn’t the little fella cute? The picture above is slightly larger than its true size. It is about 3/4 inch big (or should I say small). I am guessing it must be the size of the jade frog on your ring. The fruit juice I referred to above is the Ribena. Ribena is very sweet while POM is slightly tangy. Definitely a more adult taste. Color wise, it is very similar. Oh my…110+ temps! Here in MN, the temperatures and leaves are falling, falling, falling….. Very refreshing drink. Love your glasses 😀 All the best to you for the drinks challenge. Thanks Mary and all the best to you too for your entry! WOW Biren, I love your glasses and those are beautiful refreshing drink. 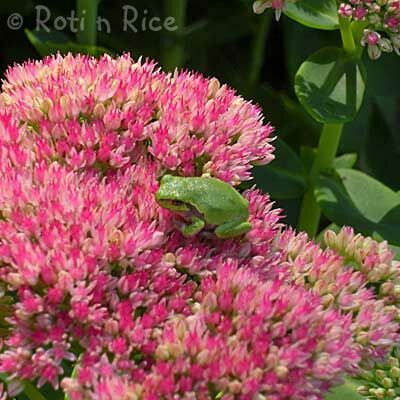 That greenish frog on the vignette looks so cute! Lovely cutlery, Biren. Beautiful color and a refreshing drink. Great looking cocktail! I am sure it would especially taste great cold! This is a wonderfully refreshing libation indeed. The POM juice and key lime are perfect for sipping with vodka. Hey Biren, this looks so delicious. I love the idea of pomegranate with lime. This is like a cosmo brought up a notch! Yeah, I’m a bartender (smile) or used to be… Oh, and I received free Pom stuff a while ago, and I still need to do a post-yikes! Thanks for the compliments! The composition is a hit and miss thing. Somedays are better than others. This looks delicious and I love the color! The contrast between red and green are vibrant. I like POM Wonderful too. Its product is great isn’t it? 😀 The key lime cocktail juice sounds intriguing. I adore those glasses as I’ve been wanting them for some time now haha. Great entry for the challenge Biren! 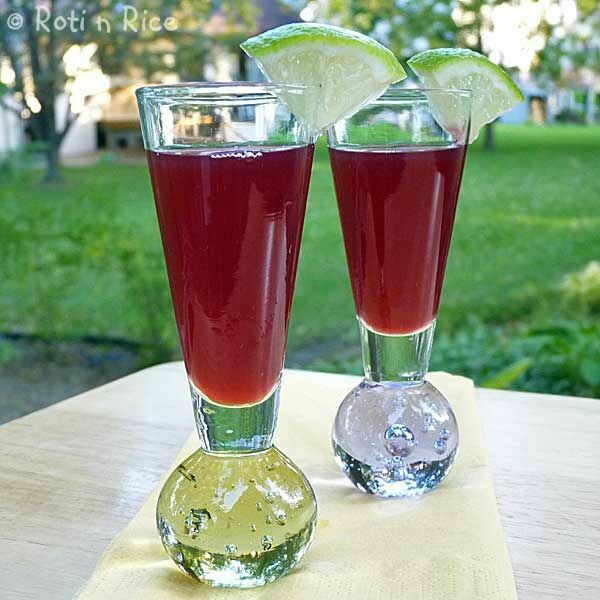 A terrific concoction with Pom! Stunning! And delightfully refreshing, I’m sure! I also received some POM juice, and now I have a lovely drink I can make with it. Thanks for sharing. Your presentation is just perfect! What a vibrant and refreshing drink Biren! I love POM! This looks refreshing, and your glasses are beautiful. I never tasted key lime cocktail juice. I love the photo from your garden. Is that a real frog? Thanks Madin and yes, that is a real frog. It’s tiny, only about 3/4 of an inch long. They are pretty camouflaged amongst the leaves. This guy is out sunning itself. I love POM juice and this drink looks like a delicious use for it! That frog pic is too cute! POM is really the only juice I drink and I love the sound of it in this cocktail! Glorious. That is one good looking cocktail and the green frog. I could use many of those today. That looks like MY kind of drink…I’ll take two! This looks so refreshing…I love it! Pomegranate juice is one of my favorites. Great cocktail idea! The drink looks fantastic, but that clarified key lime juice; I’ve never heard of that. I KNOW I’d love that! I also love froggies. He’s so darn cute. Yum! I love pomegranate! How awesome to receive a case of it! This looks delish! Hi, thanks for visiting. I will definitely look into it (hopefully soon) but I am having problems with my computer right now and so it may take a while. Sorry about that.